Remember this post and this picture? I wasn’t sure my herb garden would really be a success, not being an expert on herb growing by any means. In fact, I half-expected the plants to wither and die, given that I had planted herbs together that have conflicting watering needs (rosemary likes it dry, basil and parsley like it wet). To my surprise, my herbs thrived–to the point that they were growing out of control, despite my pinching and pruning efforts. 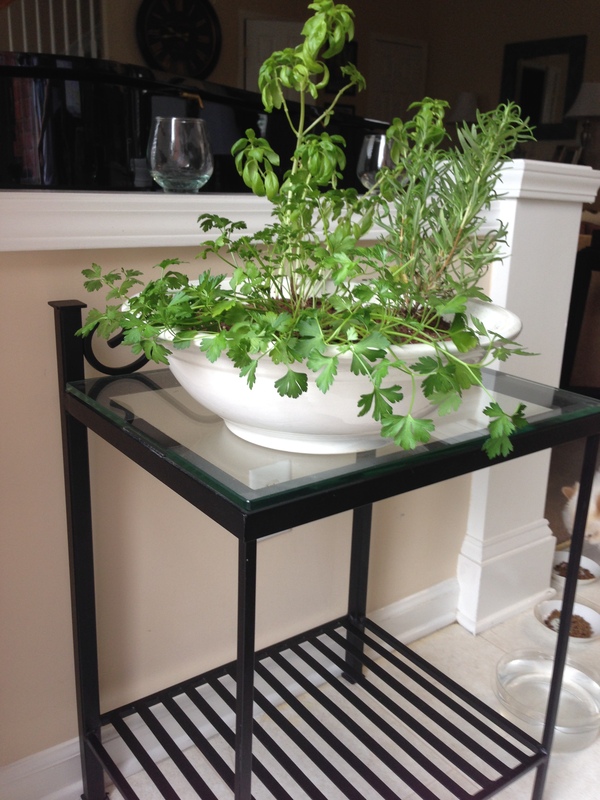 Quickly it became apparent that this one container would not house them all, so I harvested all I could and transplanted the herbs to separate containers that now sit happily on a window sill in our new kitchen. Once again, the antique stoneware vessel was empty, but remember how I initially wanted to use it for a succulent garden? While I was in FL, Chris and I made a trip to Lowe’s. It was still quite chilly at the start of March, and the garden section was not doing a booming business. However, they had beautiful new succulents, and Chris acquiesced to my succulent request. Since cacti need a different type of soil, I purchased a bag of cactus soil, along with five different types of succulents. Chris made sure we included an aloe plant and was most helpful in selecting the best looking succulents for shape, color, and variety. 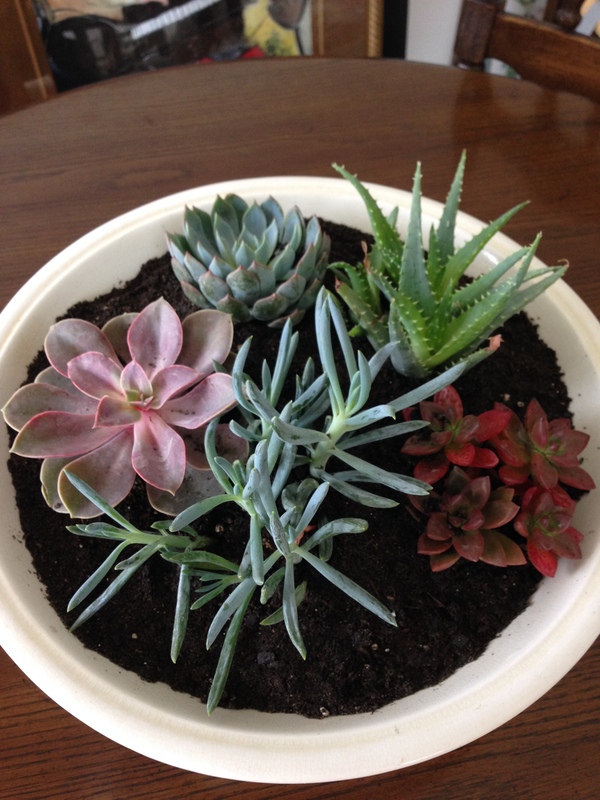 Once again, I filled the bowl with river rocks for drainage, followed by a layer of cactus soil, and then added the succulents.